Multicast communication is one of the general patterns of collective communication in multiprocessors. On hypercube network, the optimal multicast tree problem is NP-hard and all existing multicast algorithms are heuristic. And we find that the existing works are far away from optimal. 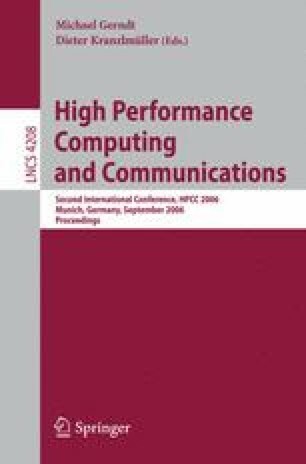 So this paper aims to design an more efficient algorithm to reduce the communication traffic of multicast in hypercube network. We propose a clustering model and an efficient clustering multicast algorithm. Compared with the existing related works by simulation experiments, our heuristic algorithm reduces the communication traffic significantly. Supported by PCSIRT (Program for Changjiang Scholars and Innovative Research Team in University) of China under Grant No. IRT0446.